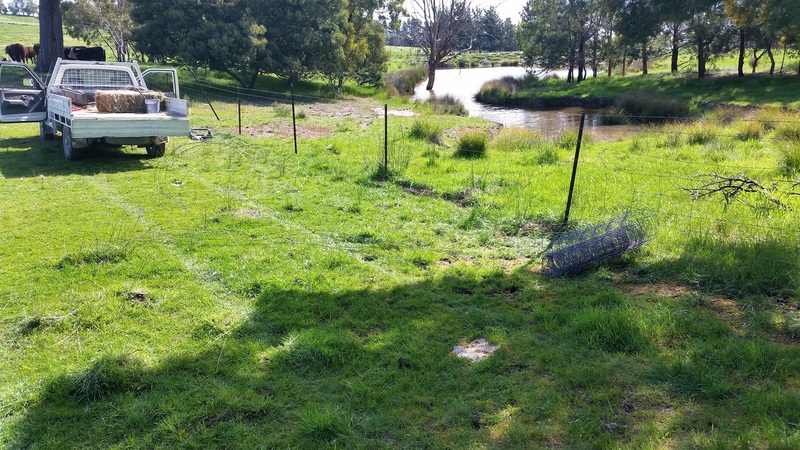 Ian held my hand for two and a half days driving all over the property, putting hay and ‘bloat blocks’ (supplement) into paddocks, checking pumps and dams, inspecting the fences, noting areas that needed repairs and many other tasks. Just getting a handle on the location of all the equipment and their operation was challenging but I had no misgivings. Ian seemed to be at ease leaving his property in my care and it was a responsibility I took very seriously. 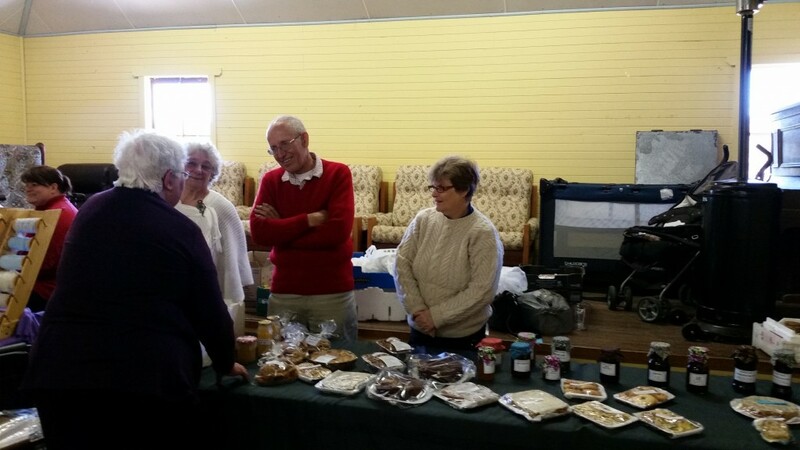 On Saturday morning we had a short break from lessons to attend the Laggan market, located in the tiny village about 10 ks from the farm. Ian and Jo operated a stall there once a month selling eggs, preserves and assorted produce. We were introduced to the ladies running a High Tea fund raiser scheduled for two weeks hence and they needed a piano player for a few hours on the Sunday afternoon. I was ‘volunteered’ but happy to comply. In warm, mid-morning sunshine on Sunday 21st September, our hosts began their drive to visit their son in Wangaratta, an overnight stop before catching an international flight from Melbourne the next day. Julie and I had a light Sunday lunch before taking the 4WD ute down the farm lane to look at a section of fencing that needed repair. As I checked the tension on the wire, I called out to Julie to do me a favour and put some weight on the strainer to pull the wire up another notch. This turned out to be not one of my better requests as the wire snapped, Julie fell and broke her right hip. Some might feel this was an inauspicious start. Having made one mistake it was natural to compound my error by making another. 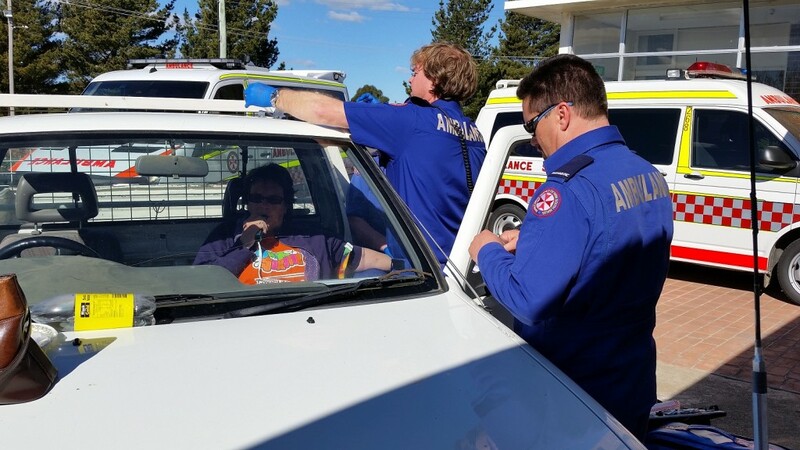 Instead of calling an ambulance which I thought would find us hard to get to, we managed, after a long and painful struggle, to get us both into the ute and drive the 15 kilometres to the Crookwell hospital. 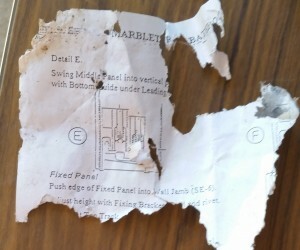 Julie said this was more than a little painful or words to that effect and the trouble did not stop there. 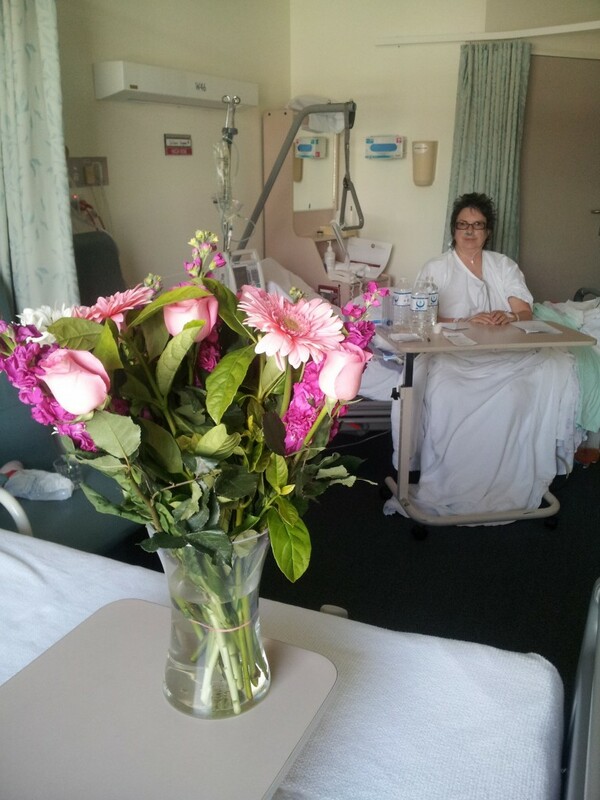 The hospital staff were prohibited from doing anything to help Julie exit the vehicle in case they did more damage. They did what I should have done an hour earlier and called an ambulance. As it happened, at that time the local ambos on duty were 40 kilometres away attending another job, so here we were, sitting in the hospital car park, nurses in attendance but powerless to offer assistance. Good one Dan, you’ve done it again. After 20 minutes an off duty medic arrived in the spare ambulance and started administering pain relief. The local on-duty medics arrived about half an hour later and as Julie was chilled out on a ‘green dream’ by then, they moved her inside. After an assessment by the local doc, the decision was made to transfer her instead to the district hospital in Goulburn. 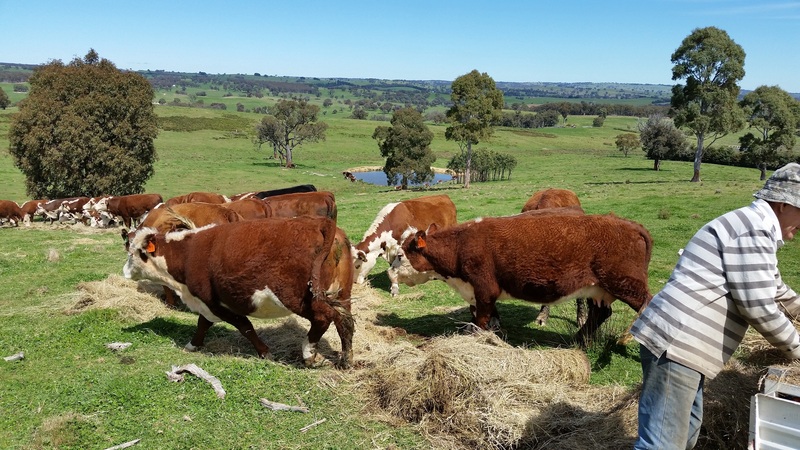 I made a quick trip back the 15 kilometres to the farm to pack a bag and then drove down to Goulburn to make the delivery. By 9 pm, just ten hours after taking over the farm, I was sitting alone in the farm house and Julie was in hospital 55 kilometres away. The next day she was transferred to Bowral Hospital where a specialist was available. On Tuesday morning Julie was the proud owner of a new plastic and stainless hip. By the time I got there, near lunchtime, she was awake and by Wednesday morning was sitting on the side of her bed. 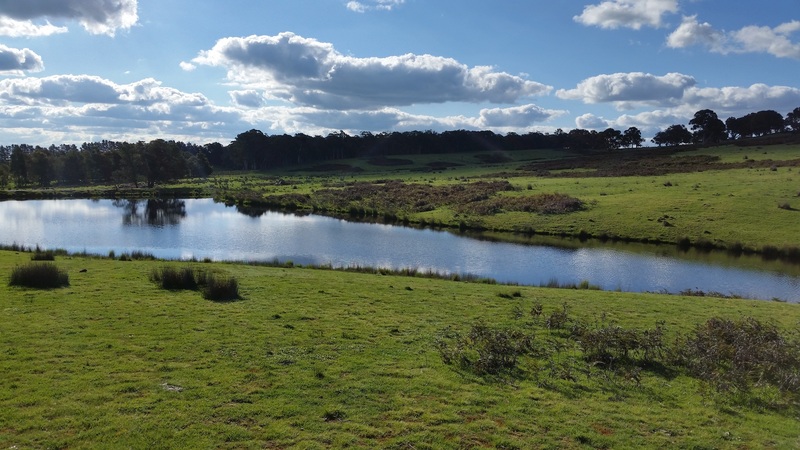 By Saturday 27th she had been transferred back to Crookwell for local rest and care and which reduced my travelling time and Monday the 29th, I was happy to receive my 65th birthday present, picking up the patient and bringing her home. Less than a week after the fall, Julie was walking about, albeit somewhat gingerly and I asked her if the hip replacement was more painful than having children. She gave me one of those pitying looks that only a woman can properly deliver and quietly said “pull out your bottom lip Dan”. “More, come on Dan, more, more. Pull with two hands, really hard, hold…hold….hold… now pull it up over your head”. I know, just asking was another mistake. It’s raining and cold. Sitting here at the big table I sense the wood-fired stove across the long room, making an effort to listen for every precious sound. What I hear make me feel at peace, relaxed and calm; the rain on the roof, the ticking of the clock and the occasional meow from the cat. I’ve just been outside braving the cool, to drink in, truly appreciate my beautiful surrounds. Settling back down at my computer, there is an urgency to make comments on this time to ensure I remember the how I feel within the moment. The brief addition of the melodic call of my favourite bird, the magpie, is an extra touch to my overloaded senses. I knew I’d love this place. I hadn’t been left entirely without support in that Jo’s bachelor brother Ron owns the adjoining farm and available for advice as needed. He had come to see how we were managing on the Wednesday but I was not about to tell him that Julie was in hospital in case he let on what had happened. Can you imagine how that would spoil Ian and Jo’s adventure? Once Julie came home of course it was no secret and having shown it was not going to affect the farm, I was confident they would not worry. Two of the main items I wanted to tick off the ‘to do’ list was the installation of a frameless glass shower screen and repair the roof guttering. The shower screen had been sitting in storage for 11 years and the instruction sheet was showing its age. Fortunately, the glass industry is my métier so the shower screen was no bother. It was to be fitted into the bathroom of an adjoining building used primarily for the teaching and accommodation of students of quilting. For those of you who, like me, have an education that lacked in-depth knowledge of the art, the size of the machinery required to make large quilts is surprising, taking up a large part of a very large room. Apparently Jo is something of an expert, running classes and taking in students as temporary boarders. As it turned out, it was good that I had the shower screen fitted as we had visitors from Sydney, a two-hour drive via Goulburn, in the person of my brother Neil and his wife Jenny who came to wish me a belated happy birthday and to see how Julie was coping. Obviously we didn’t have candles or the cake would have collapsed under the weight but we did the usual drinking part with some gusto and we took advantage of the crystal clear dark skies for some star and navel gazing as brothers do. 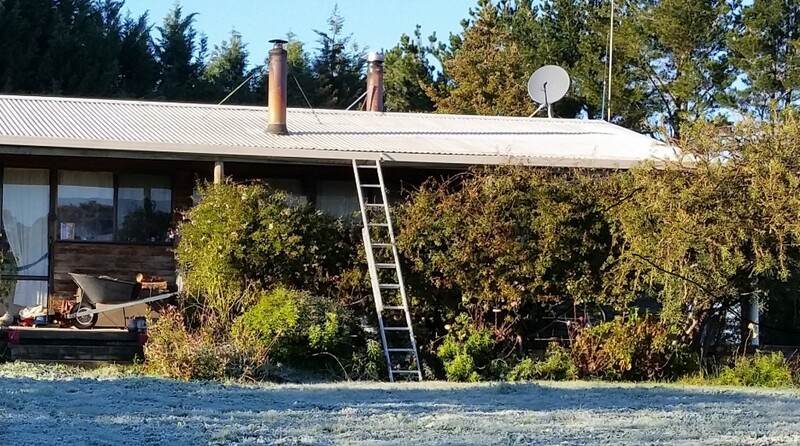 The guttering was propped up with a ladder since being pulled part way down by a heavy snow fall about 5 years earlier. Ian’s velleity is understandable given the scope of work necessary to run such an enterprise and I hoped to be able to tick more than just a couple of items of the list. After 10 fun filled days we had finally arrived at what should have been the start. Now for the guttering.